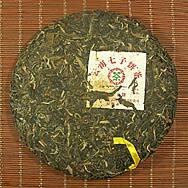 The name "Jin Si Gong Bing" means "Gold Ribbon Tribute Tea Cake". 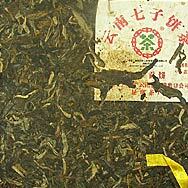 A gold ribbon was compressed together with the tea leaves, indicating the use of high quality material in the production of this tea cake. 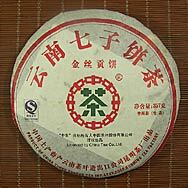 The liquor it yields has a strong aftertaste which is remarkable and lasting.